Ten years after the worst financial panic since the 1930s, growing debt burdens in key developing economies are fueling fears of a new crisis that could spread far beyond the disruption sweeping Turkey. The loss of investor confidence in the Turkish lira, which has surrendered more than 40 percent of its value this year, is only a preview of debt problems that could engulf countries such as Brazil, South Africa, Russia and Indonesia, some economists say. “Turkey is not the last one,” said Sebnem Kalemli-Ozcan, an economics professor at the University of Maryland. “Turkey is the beginning.” For now, few experts think that a broader crisis is imminent, though Argentina this week asked the International Monetary Fund to accelerate a planned $50 billion rescue as the peso crashed to a historic low. But the danger of a financial contagion that could hit Americans by crushing U.S. exports and sending the stock market plunging should be taken more seriously in light of a massive increase in global debt since the 2008 downturn, the economists said. The point about exports is uninformed. The U.S. economy is not very dependent on exports: currently, gross exports (not deducting imports) equal less than 14 percent of U.S. GDP. Furthermore, the countries mentioned account for such a small portion of our exports that you could not find it with a statistical microscope. A more important point is the one about government debt in emerging economies. When the global sovereign-debt market made money available, obviously those countries decided to go for the bait. Far too many of the world's governments are ideologically committed to providing for too many of their citizens' needs and wants. Therefore, as the article suggests, when they sell debt globally and attract private investors from all over the world, they create a contagion mechanism that will have repercussions for the countries that are home to the lenders. However, the main problem is not the sovereign debt in emerging-market economies. 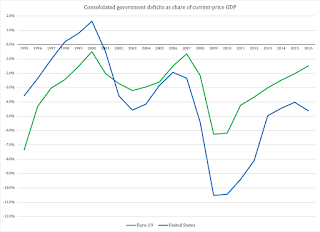 The main problem is that the advanced welfare states in Europe, and in the United States, have done nothing to structurally solve their debt problems. Unlike the conventional wisdom about the Great Recession, it was not a private-debt crisis. It was a crisis of government debt. Foreign investors, particularly European banks, lent freely in search of the higher returns these markets offered at a time when the U.S. Federal Reserve and European Central Bank were keeping interest rates low. “We were supposed to correct a debt bubble,” said David Rosenberg, chief economist at Gluskin Sheff, a wealth-management firm. “What we did instead was create more debt.” Those bills are coming due, and Turkish borrowers, like those in other developing countries, may not have the dollars and euros to pay them back. That is in part because the Fed is raising interest rates in the midst of a healthier U.S. economy. The stronger dollar - along with the sinking lira - makes it increasingly expensive for Turkish borrowers to repay their dollar debts. Why did the Federal Reserve and the ECB drive their interest rates into the ground? Because the governments of the economies they service were borrowing through the roof. Without central-bank help to buy up their debt there would not have been nearly enough liquidity in the debt market to absorb all the treasury bonds that the North Atlantic welfare states were cranking out. Profligate welfare-state borrowing, in turn, is a problem with deep ideological roots. Once a government makes the commitment to provide for an abundance of the needs of its citizens, it cannot back down when a recession strikes. That would, simply, be political suicide; the austerity programs we have seen in Europe are desperate last-resort efforts aimed at saving as much as possible of the welfare state. Therefore, borrowing becomes a permanent third funding arm for government, on top of taxes and for-service fees. In other words, we can trace the origin of today's debt crisis in emerging economies back to the ideological fervor of European and American politicians. If we had not created a sovereign debt crisis in the first place, we would not have created the monetary-policy conditions that lured emerging economies into a debt trap. As we just saw, the reasons for this increase are easily identifiable. That said, the debt levels in emerging-market economies are not as bad as they are in Europe or the United States. 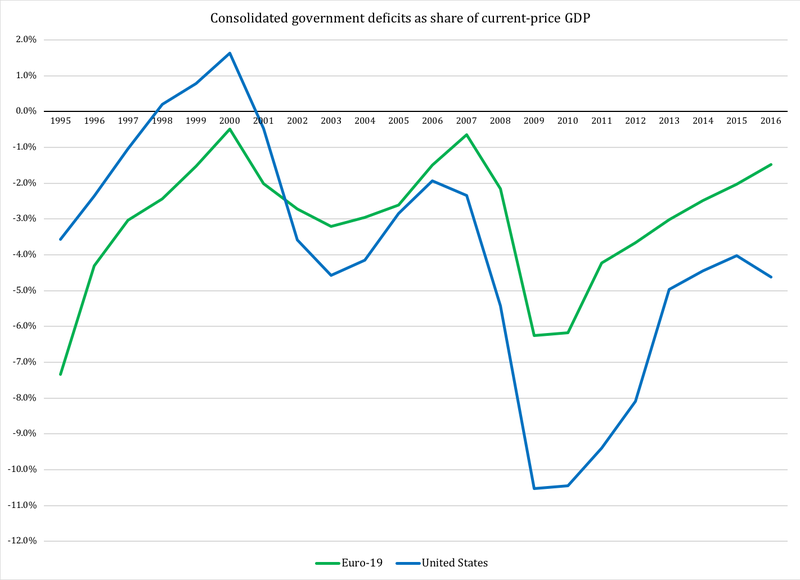 The trend is troubling, but in terms of existing government debt, the North Atlantic welfare states stand out, both in terms of debt levels and in terms of debt persistence. 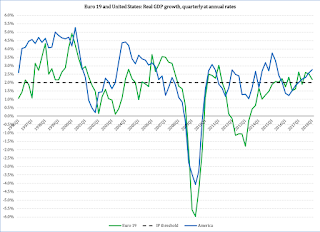 While the European debt levels have tapered off somewhat in the last couple of years, seven of the 19 countries in the euro zone have a debt-to-GDP ratio over 90 percent. In 17 of the 19 euro-zone members, government debt was higher as percent of GDP in 2017 than it was in 2007. In six of the countries, the debt-to-GDP ratio was at least 2.5 times as high in 2017 than a decade earlier. 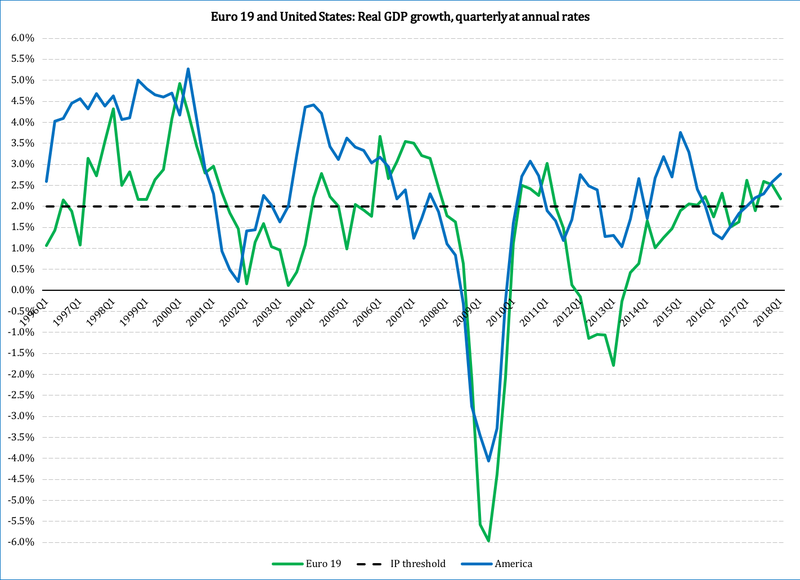 The problem for the Europeans is that their efforts at bringing their deficit problems under control have a hampering effect on GDP growth. The aim is not to reduce deficits by shrinking the government footprint in the economy - it is to preserve as much of government as possible in a stagnant economy. Therefore, the method used to reduce deficits is a combination of spending cuts that don't expand the room for the private sector, and higher taxes. We know this method as austerity; the proper name for it is statist austerity, as the goal is - again - to preserve the welfare state, not to remove it. Since the welfare state discourages growth through its entitlement programs, and discourages growth even more through its high taxes, it slowly erodes the very tax base that the welfare state itself needs in order to honor all its spending promises. Which brings us back to why the world is yet again steaming toward a debt crisis: we have built welfare states that are supposed to redistribute up to half the economy, to provide child care, housing, education, health care, income security, job market training and pensions for a steadily growing part of the population. This is a losing proposition, both fiscally and from a macroeconomic viewpoint. The only viable solution to the world's sovereign-debt problem is to dismantle the welfare state. There is no other sustainable solution.